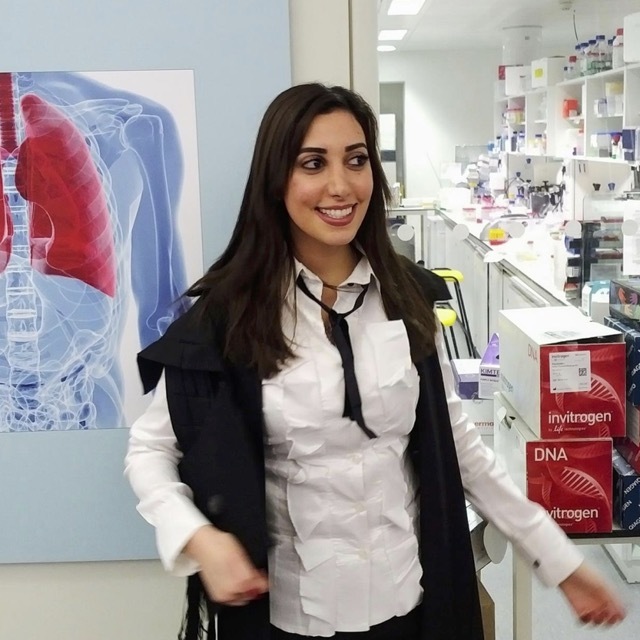 Dr Martine Abboudis a Junior Research Fellow in Chemical Biology at Kellogg College, the University of Oxford. Her doctoral work focused on the use of a wide range of ligand- and protein-observed biophysical and biochemical methods to study the hypoxic response and antimicrobial resistance. Her work provided interesting information about the substrate selectivity of the dioxygenases and mechanistic insights into the lactamases. She is currently interested in metabolic enzymes involved in cancer. Martine completed her undergraduate studies at the Lebanese American University, Lebanon, where she received the President’s Award for academic excellence and leadership skills. In 2013, she came to St John’s College, Oxford, as Sir Hans Krebs Memorial Scholar, Biochemical Society. She has undertaken her doctoral research at Oxford under the supervision and guidance of professors Christopher Schofield and Timothy Claridge. In 2017, she was awarded a Thesis Commendation from the Mathematical, Physical, and Life Sciences Division, Oxford. She won several prestigious awards (from both academia and industry) among them are a Pfizer-sponsored award in 2015 and a Future Leader recognition by the American Chemical Society CAS SciFinder® 2018 program. Her work to date has been presented at several international conferences and described in over 20 publications.